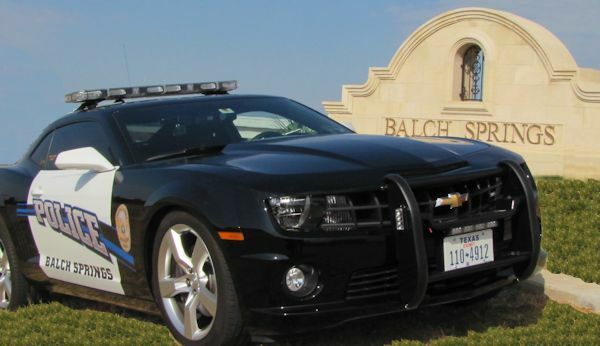 On Saturday night, a high school house party got pretty rowdy in Balch Springs, Texas, and police were called to to the scene. One high school freshman was trying to leave the party with four other boys, including his brother. They were all unarmed, but police still shot 15-year-old Jordan Edwards in the car. On Monday, Edwards’ death was ruled a homicide. Initially, Balch Springs Police Chief Jonathan Haber said that the car was backing up towards the responding officers “in an aggressive manner,” but later changed his statement. Haber said after reviewing the dash cam videos, the car was clearly driving AWAY from the officers and that the shooting, with a rifle, was not in line with the “core values” of the police force. That’s sort of an understatement, especially considering all of the boys in the car were unarmed. The police said that when they arrived to the party, they heard gun shots and went out to investigate and saw the four boys in the car. The teens were told to stop repeatedly, but continued to try to leave. Not wanting to be at a party where there’s underage drinking and shots are allegedly fired once the cops show up is a pretty normal teenaged reaction, so it’s scary to think that the police officers would use deadly force on four teenage boys. Merritt told BuzzFeed that he couldn’t “fathom” why the police would shoot kids trying to get out of an underaged drinking party. It’s a very extreme response, to say the very least. The officer hasn’t yet been identified, but according to BuzzFeed, he is a white male. Hopefully, the Edwards family and his friends will find some sense of justice for Jordan.